This Tuscan Garlic Chicken tastes like it came straight out of a restaurant and is one of my personal favorites! It is packed with flavor, and with only 7 ingredients and one casserole dish, you can whip it up and have it in the oven in as little as 15 minutes. 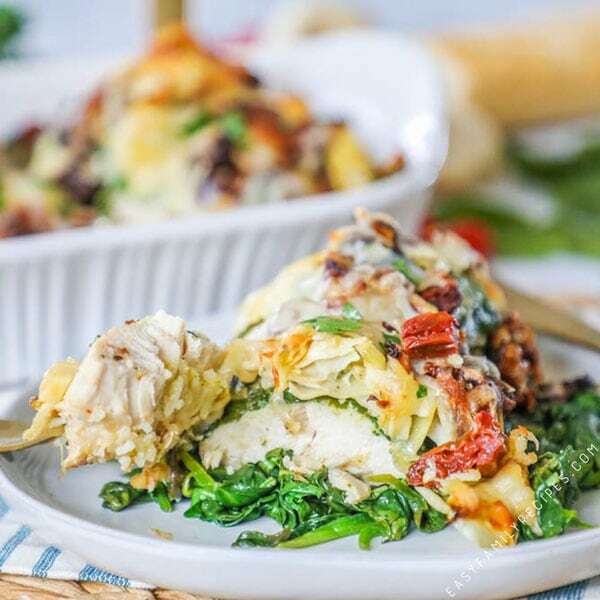 The layers of tender chicken, flavorful garlic, and wholesome spinach, artichokes and sun dried tomatoes give this dish so much delicious flavor that this recipe will make an impression to last. 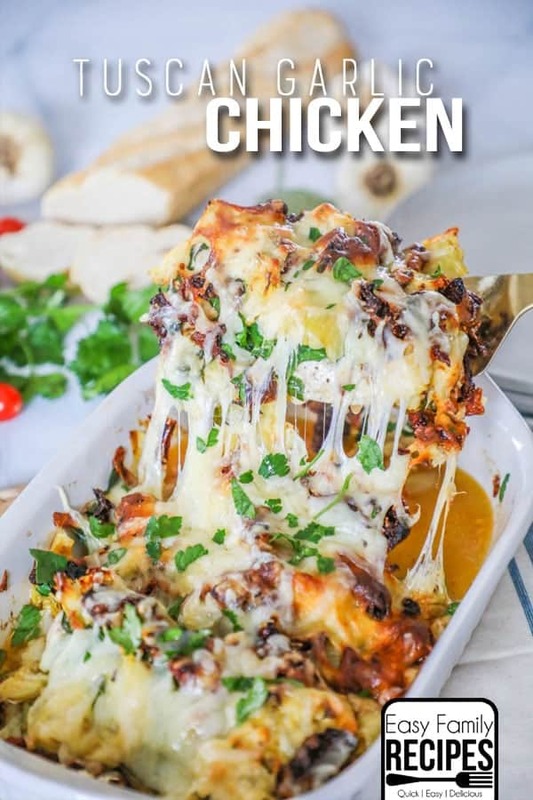 This is the perfect meal to make for company since it is easy to prepare but made to impress, but it is simple enough to also be great for an everyday family dinner. And the leftovers… if you have any… are possibly even better reheated the next day. Today I am sharing with you one of my all time favorite recipes! The first time I made this dish, it was something that I threw together because I had some things in the fridge that needed to get used. I wasn’t expecting much, but this was 100% love at first bite. My friend Emily was over and she agreed that this was the best thing we had eaten in a long time. So if you are here, I am begging you to add this to your menu ASAP! You shouldn’t live without this delicious dinner in your life!